The Mayor of London’s Transport Strategy, published in 2018, sets out a vision for a healthier greener, and more prosperous city. The strategy makes clear that a new type of thinking is required to increase active, efficient, and sustainable travel to help achieve this vision for London. The strategy uses the ‘Healthy Streets’ approach which makes health and personal experience the priority as the city’s future is planned. This includes the promotion of more walking, cycling, and using public transport. Cycling is a fundamental element towards attaining a healthier lifestyle and benefits from the negative pollution normally associated with motor vehicles. However, there are numerous barriers to cycling, especially during construction. 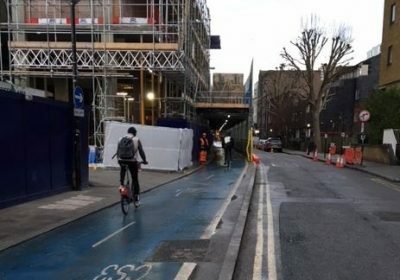 Many cities across the UK have either constructed, or are in the process of constructing, more segregated cycling facilities and as a result of the rising population, more development is required which may often be adjacent to and impact on such infrastructure. 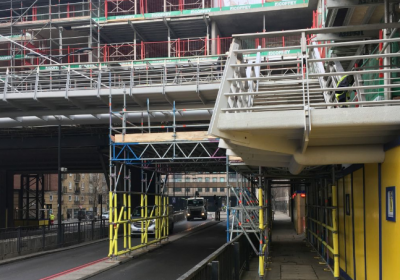 Midgard Ltd, worked closely with Transport for London (TfL) and the London Borough of Tower Hamlets (LBTH) to maintain a busy cycle route (CS3) during the construction of a number of residential towers along Royal Mint Street in Central London. 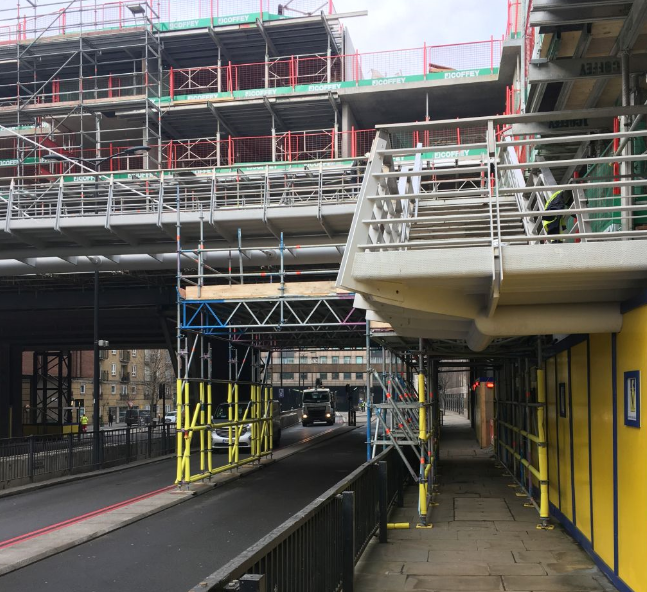 Due to the close proximity of the towers to the cycle track, safety concerns were raised with the potential of falling objects during work. This led to the proposal of closing the route. However, after numerous meetings and investigating alternative mitigation measures, a tunnel design was agreed and implemented. This meant the cycle route, carrying approximately 1500 cyclists during the peaks would be maintained and protected during the works programme. The method and approach by Midgard has since been praised by numerous cycle groups. 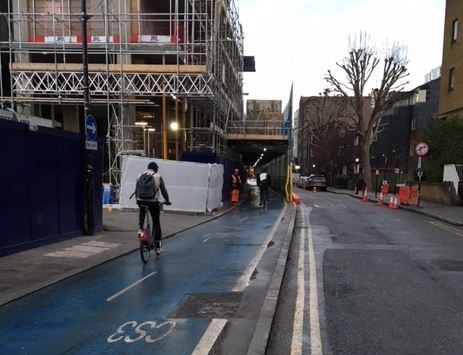 Since the tunnel has been built, another constructor, Vascroft Contractors Ltd, has followed by example and built a similar type of tunnel to help maintain safer cycling during their weekend scaffolding works.